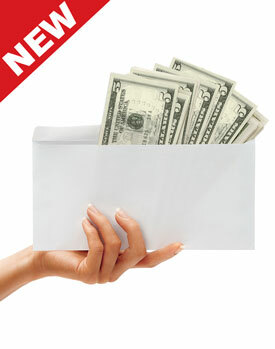 Quarterly Packages are packages that consist primarily of clothing, tennis shoes, food, and health and beauty items. Inmates in the California Department of Corrections that are classified as Privilege Group A/B are allowed one 30 pound Quarterly Package each quarter. Inmates classified as Privilege Group D are allowed one 30 pound Annual Package per year. These packages can contain any of the approved items that appear on this website. Please see the Policies and FAQ sections for more information on these packages. You can pick any rewards items you qualify for during the checkout process. Our new Prepaid Program is a prepaid account that an inmate, friends and/or family can open with the purpose of adding funds to an inmate’s account for future purchases. 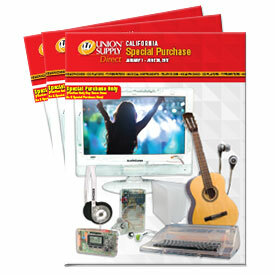 Funds can be deposited into a prepaid account at any time and can be used for all Union Supply Direct programs including Quarterly Packages, Special Purchases, Dress Out, Music and Media orders. Just check off the ‘prepaid account’ option under the Payment Method section of the order form, send us the form, and we will process your order. Prepaid accounts are especially handy when ordering media for your U-TAB7 device. Inmates can order games, music and ebooks can be ordered as often as you like and now the prepaid accounts makes it easier than ever. Try it today!! Inmates in the California Department of Corrections are allowed certain items that are referred to as Special Purchase items. These items consist primarily of electronics such as radios, walkmans, CD players and televisions. These orders have no weight or package size restriction and can be purchased at any time of the year. Per CA DOC, entertainment appliances such as televisions, cassette players, CD Players, radios, typewriters and musical instruments can only be bought as Special Purchase Order items. Accessories such as headphones, earbuds, coaxial cables, splitters, adapters, typewriter supplies and music accessories must be purchased with the entertainment appliance to be counted as Special Purchase. If accessories are purchased without an appliance, they will be counted as a Quarterly Package Order. See our FAQ tab for more details. Who Qualifies for the U-TAB7 Media Program? California Male Inmates in Privilege Groups A & B with Security Levels I and II, Camps, MCCF's and all General Population Female Inmates qualify for the Union Supply's U-TAB7 Media Program! 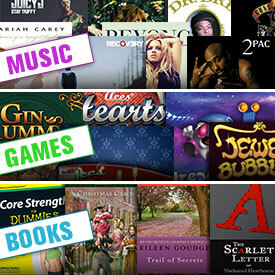 Inmates, family and friends can purchase music, e-books, and games for the U-TAB7 at any time. Please follow the same process and guidelines as placing a Special Purchase package order. All content orders will be shipped separately and sent directly to the inmate vis US Mail. Inmates must own a U-TAB7 device before additional media content can be purchased. Click here for more information regarding inmate eligibility our U-TAB7 Media Program. 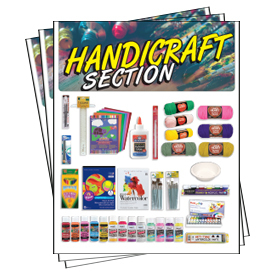 Handicraft Items are considered Special Purchase orders and cannot be purchased with your Quarterly Package. All handicraft items are per institutional discretion so please verify that your institution allows these items before placing your order. 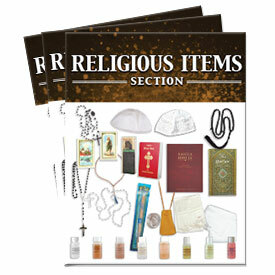 Inmates, families and friends can purchase religious items as a separate Special Purchase Order only. No Chaplain signature is required to purchase the pre-approved religious items according to the new Religious Property Matrix revised on 6/27/13. Please see the Product Info and Restrictions section for more information on allowable religious items and limits. Mainline inmates residing at San Quentin State Prison can now have Quarterly Package Orders placed for them online! Please note that if the inmate is considered Condemned Grade A or B orders still must be placed via phone, fax, or mail. Mainline inmates residing at San Quentin State Prison can now have Special Purchase Package Orders placed for them online! Please note that if the inmate is considered Condemned Grade A or B orders still must be placed via phone, fax, or mail. Inmates in the California Department of Corrections are allowed certain items that are referred to as Special Purchase items. These items consist primarily of electronics such as radios, Walkman’s, CD players and televisions. These orders have no weight or package size restriction and can be purchased at any time of the year. Per CA DOC, entertainment appliances such as televisions, cassette players, CD Players, radios, typewriters and musical instruments can only be bought as Special Purchase Order items. Accessories such as headphones, earbuds, coaxial cables, splitters, adapters, typewriter supplies and music accessories must be purchased with the entertainment appliance to be counted as Special Purchase. If accessories are purchased without an appliance, they will be counted as a Quarterly Package Order. See our FAQ tab for more details. Mainline inmates residing at San Quentin State Prison can now have Religious Package orders placed for them online! Please note that if the inmate is considered Condemned Grade A or B orders still must be placed via phone, fax, or mail. Inmates, families and friends can purchase religious items as a separate Special Purchase Order or as part of a Quarterly Package Order. No Chaplain signature is required to purchase the pre-approved religious items according to the new Religious Property Matrix revised on 6/27/13. 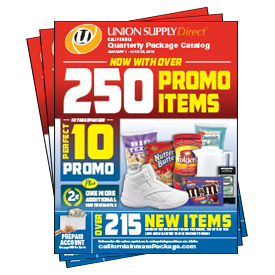 Union Supply Direct is the industry leader in Dress Out Clothing Programs! We offer diverse clothing options for all needs and have the hottest and most recognized brand names including Nike, Levis, Adidas, Russell, Dickies and many more. We would like to provide your inmate with the most fashionable and stylish dress out clothes in the market to help them sucessfully transition back into society. 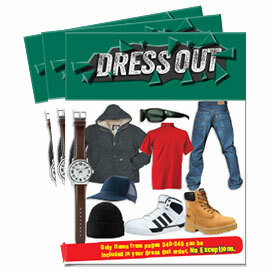 Dress out Clothing packages are typically required to be received within 30 days of paroling, however, each facility may have different rules and regulations so please check with your facility for further details. *Dress out orders will be accepted no more than 45 days before the release date.